Everyone is different, which is why each facial treatment our expert therapists undertake is different, tailored to each client who visits us. We get to know you and your skin, using only the finest products with natural, effective ingredients to achieve lasting results and make you look and feel wonderful. ELEMIS BIOTEC delivers 7 highly-effective, super-charged facial treatments using a unique combination of actives, touch and technology to re-boot cellular performance, enhancing the skin’s ability to repair, renew and re-tone. Each treatment targets specific skin needs to deliver immediate, visible, long-lasting results. Upgrade your facial today for incredible results! 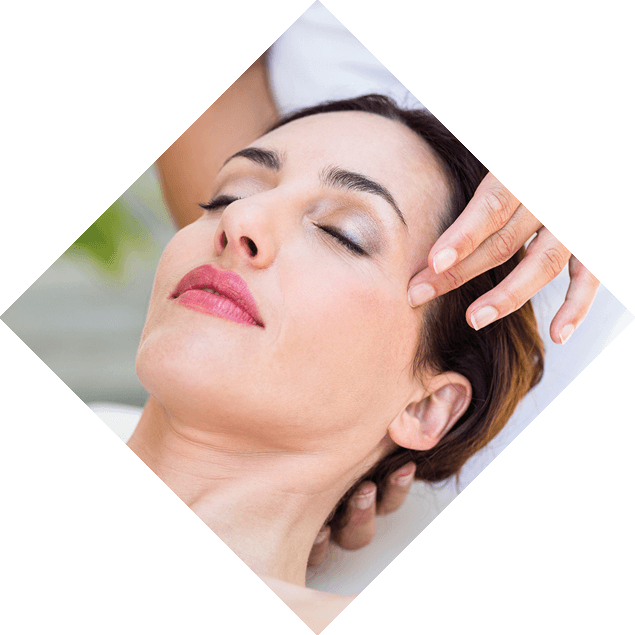 A power boost facial to awaken the skin and senses. For instant refined and flawless skin, this power packed facial will awaken even the most tired of complexions in the shortest of times. Exquisite massage techniques revitalize the mind and body whilst the powerful infusion of essential oils leave the skin with an airbrushed quality and as fresh as the morning dew. This internationally renowned, multi award winning facial is power-packed with vitamins and anti-oxidants. Stress simply melts away thanks to five deeply relaxing massage techniques and the ideal rebalancing aromatic elixir for your complexion. Our deliciously warm and decongesting mask softly cocoons skin, providing the perfect environment for it to flourish. Skin is left deep cleansed, perfectly replenished and glowing with vitality. Super-hydrating and able to quench even the thirstiest of skins. This deeply moisturising treatment includes a gently effective exfoliation to leave skin smooth, velvety and perfectly prepped for our nourishing AROMESSENCE ™ Neroli Concentrate. A nutrient-rich mask drenches skin with soothing, moisture loving ingredients for a complexion that’s rehydrated, supple and cashmere soft. This mattifying facial targets spots, blemishes, open pores and excessive shine. Includes a balancing and deeply oxygenating power mask to bring instant clarity to dull, devitalised skin; a three stage massage ritual also intensively detoxifies, relaxes and refines uneven texture. Brings previously oily, combination and dull skin back to life leaving it luminous, crystal clear, beautifully matte… and completely flawless. process; an indulgent and collagen-rich mask ensures skin feels plumped and tightened too. The result? A flawless, youthful new radiance. Wrinkles are targeted with firming and toning microcurrent pulses to stimulate the skin cells, increasing the production of collagen and elastin. A powerfully rejuvenating facial. Super-lifting facial to help firm and tighten cheeks, neck and jawline. Combining ground-breaking blend of massage and sculpting technology. This powerful, targeted skin-brightening treatment visibly illuminates the complexion, dynamically treating the appearance of uneven skin tone, discoloration and age spots. A powerful antidote for dull and tired skin, this cellular-boosting treatment targets sluggish complexions. Skin is left profoundly reinvigorated. Instantly clearer, visibly brighter and radiant. This revolutionary resurfacing facial addresses skin tone, blemishes and fine lines to transform the texture of the skin. The ultrasonic peel reveals a noticeably smoother complexion. Wrinkles and fine lines are reduced to leave a complexion that has never been softer or smoother. A deep cleansing facial that detoxifies the skin and repairs damaged tissue. This treatment uses ultrasonic vibration, massage, steam and galvanic currents to thoroughly decongest and exfoliate. BIOTEC Courses are recommended. Please ask a member of our team for more information. A perfect introductory facial to refresh on a lunch break. The skin is cleansed, toned, exfoliated and a mask applied before the skin is moisturised, leaving the skin feeling refreshed and ready to go. This deeply relaxing facial begins with a deep cleanse to help renew radiance, followed by an exfoliation to brighten and re-energise. Your therapist will apply a soothing mask then perform a relaxing shoulder and scalp massage, all finished with an application of luxury moisturiser.